Whether you’re saving up for something special or just looking for a way to budget your money more efficiently, we’re here to help. 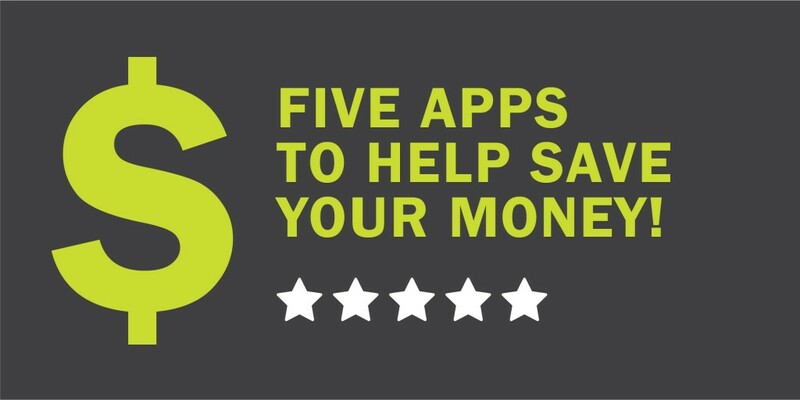 Today, we’re recommending five smartphone apps that are designed to help you manage your money. With the app Mint, you can check the progress on your budget, track and pay bills, and even find out your credit score. It generates graphs and displays statistics to help you grasp your financial outlook. It’s all at your fingertips and easy to use. Is money management something you struggle with? Do you find yourself constantly overspending on items you don’t need? If so, then this app is for you because, well, you do need a budget! It uses simple, yet supportive, tips to follow to make the most of your money. This app is focused on both your money and your emotions about money. After a purchase, Joy asks you to rate that purchase based on how you feel about it. This helps you to categorize your spending and see which purchases are really worth the money. On top of that, each day your “money coach” in the app will prompt you to save a certain amount. This app works to eliminate unwanted subscriptions that are secretly taking your money, monitor your budgeting, and even recommends credit cards that may interest you. It’s free to download and to use because remember, you’re supposed to be saving money. When connecting the app Spendee to your bank account, users can effortlessly track their finances. Spendee allows the option to “share wallets” so you can see your personal spending along with your spouse’s or family member’s spending which helps everyone stay on the same page. Other features include multiple currencies, a customizable app, and alerts and reminders. Travellers of any kind will appreciate the app Hopper. Whether it’s a quick business trip or a honeymoon vacation around the world, Hopper works to find you the best flight deals, as well as the best time to book those flights, and where to stay. It’s a one-stop spot to prepare you for your time away. So, kick back, start downloading, and enjoy the extra money! By the way… we’re hiring at KellyMitchell. Make sure to check out our openings by clicking here.